Hair loss means aging in most people’s minds. Hair loss changes the way you view yourself and the way you deal with people. Most importantly, hair loss lowers self-esteem. You can only understand the relationship between hair loss and self-esteem if you’re suffering from this problem. This guide will help you understand the role of biotin in hair loss and show you the best biotin shampoos that you can get to combat the problem. An amazing smelling biotin shampoo that is not only incredibly effective but also amazingly affordable. 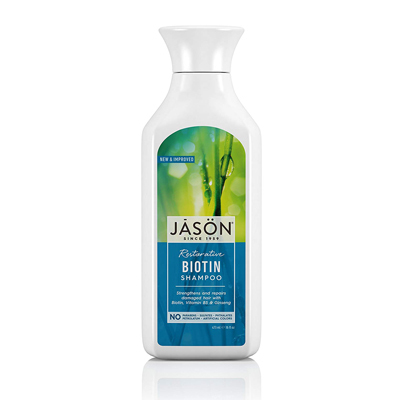 A very popular biotin shampoo that is 100% natural, can thicken hair, make it softer, and even help regrow hair. A biotin shampoo with a unique formulation that can slow down pattern baldness and turn back receding hairlines. Many hair loss problems are a result of dietary decisions as opposed to genetics. In the majority of cases, it is biotin deficiency. After pattern baldness, biotin deficiency is one of the most prevalent reasons for hair loss in the US. This is probably why you’re interested in biotin shampoos as well. We have reviewed the top biotin shampoos to help you pick the right one but we suggest learning a little more about biotin first. You can, of course, skip through to the reviews or any other section of this page. Here’s everything we’ll be talking about in this guide. What Are Some Other Symptoms Of Biotin Deficiency? What Are The Benefits Of Biotin For Hair? Are There Any Risks Associated With Biotin? How Effective Are Biotin Shampoos? We want to address the core question right away. What really is biotin? Biotin is a part of the hugely beneficial B-complex vitamins. It is also known as vitamin B7. Like most B-complex vitamins, biotin is critical for the development and growth of our bodies. Biotin plays a crucial role in the body’s ability to process key nutrients like carbohydrates, amino acids, and fatty acids. Further, biotin is vital in stabilizing human DNA, managing blood sugar levels, and maintaining neurological functions. Biotin is also very important when it comes to the growth and development of nails, skin, and hair. However, our bodies cannot produce biotin internally. It can only receive it from external sources. Biotin is also water soluble. Water-soluble vitamins are not stored in the human body. We use what our body needs and the rest is flushed out. This means that we need to provide water-soluble vitamins like biotin to our bodies regularly or risk deficiencies. Biotin deficiency is one of the most common reasons for hair loss, not to mention other physiological problems. Biotin deficiency is usually caused by neglect of the body’s dietary requirements and poor lifestyle decisions such as excessive smoking and drinking. It can also be caused by metabolic conditions or even direct biotin intolerance. Pregnancy can also lead to a shortage of biotin in the body which is why pregnant women are almost always prescribed vitamin B-complex supplements. Biotin has a direct impact on hair health. It is absolutely essential for the body to produce amino acids. Amino acids are the building blocks of various types of proteins. In terms of hair, proteins are important for the health of the cells in hair follicles. Moreover, hair strands are made up of a type of protein called keratin. This is why biotin deficiency has such a significant impact on hair and scalp. The other method is to take biotin supplements. However, the problem with biotin supplements is that the body ejects any excess biotin in the system since it is a water-soluble vitamin. Therefore, supplement dosages rarely ever get absorbed completely. The third, and the simplest method is to use biotin shampoos. 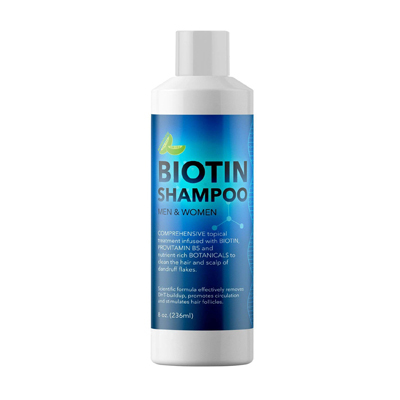 Biotin shampoos deliver biotin directly to the scalp, hair follicles, and the hair in formulations that are designed to make absorption quicker and easier. This is precisely why biotin shampoos are so popular. They can add volume to the hair and make it thicker, not to mention softer, bouncier, and shinier. There really are no side effects of biotin. You cannot hurt yourself by taking too much biotin because there are no risks associated with it. If you take more than the needed amount of biotin, the body will only flush it out through urine. Excess amounts of biotin don’t exceed the body’s flushing capacity. In terms of biotin shampoos, biotin itself has no side effects. However, biotin is only a component of a much more elaborate formula in most biotin shampoos. Therefore, other components of the formula may end up causing problems and side effects. This varies from one formula to another because different formulae use different types of ingredients to supplement biotin. Hair loss can result from either genetic conditions or non-genetic conditions. In the case of genetic conditions such as pattern baldness (androgenetic alopecia), biotin shampoos can definitely slow down the rate of hair loss. Moreover, if the condition is not severe or in the early stages, then biotin shampoos may even be able to encourage some hair regrowth. With non-genetic hair loss conditions, biotin shampoos are much more effective because these conditions tend to be a result of disease or deficiencies. Biotin shampoos end up rebalancing the equation, which in turn slows down ongoing hair loss and promotes hair regrowth. As a result, biotin shampoos have been known to be of special help to chemotherapy patients, people with dietary deficiencies, and individuals suffering from pattern baldness or receding hairlines. The majority of biotin shampoos out there are designed to strengthen hair and maybe slow down or prevent hair loss. JASON Restorative Biotin Shampoo is no different. This shampoo’s formula combines biotin with two other natural ingredients in the form of ginseng and lavender. Each of these ingredients is known for nourishing, strengthening, and maintaining hair, which is why most buyers of this shampoo openly back its thickening qualities. While this shampoo will add volume to your hair, you shouldn’t expect it to regrow hair in bald spots. It just doesn’t have that capability. What you can expect, though, is softer and shinier hair provided you use this shampoo regularly. This shampoo is also suitable for all hair types. In fact, you can use it with confidence even if you have a particularly sensitive scalp. The look and feel of this shampoo is different from other more mainstream options. It has a consistency similar to runny ketchup and has a very light yellow color. It is also free of sulfates. Despite not containing sulfates and being runny, this shampoo still lathers very well. In fact, a little will go a long way with this product. 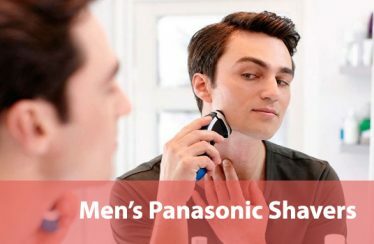 Combine this with its extremely competitive pricing and you have an incredibly cheap shampoo that you can use every day without financial worries. Apart from being free of sulfates, this shampoo also doesn’t contain parabens or even phthalates. Moreover, it is also cruelty free. The scent of this shampoo divides its users down the middle. Some people like its pleasant baby powder smell while others find it too strong to handle. More importantly, some users complain that this shampoo left their hair too dry and lifeless. If this does happen to you, then using a conditioner will counter this problem. 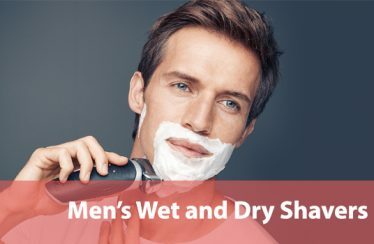 You can even try using a lesser quantity of the shampoo to deal with unwanted dryness. Apparently, the company has recently updated its formula and that has also created a lot of controversy amongst its users. This might be something you want to keep in mind. Who’s it for: If your hair is thin, you haven’t experienced heavy duty hair loss and you can’t spend over the top on a biotin shampoo, then this might just be the perfect option for you. 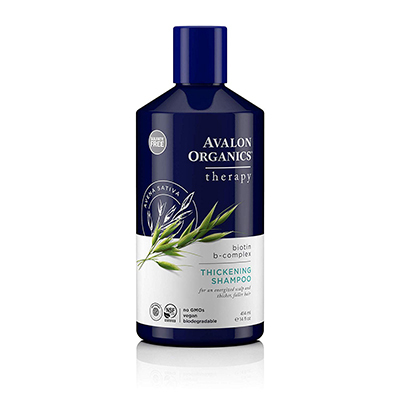 Avalon has a good name in the natural shampoo market. It has attracted a lot of users not only for this product but others as well. This is a good sign. 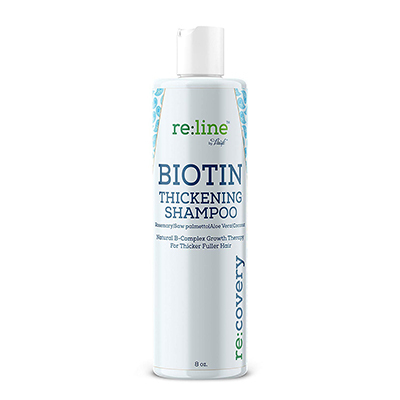 The company’s Biotin B-Complex Thickening Shampoo is very good at what it claims to do. While it will not result in hair regrowth, it will make your hair grow much faster than normal. This shampoo speeds up hair growth by providing all the right nutrients to the hair and the hair follicles. The outcome is thicker hair with more volume, fluff, and bounce. This shampoo will even give your scalp that reassuringly pleasant tingle. You’ll also find that this shampoo leaves your hair soft after every wash. Additionally, your hair will smell nice too as this shampoo has a natural minty scent. This shampoo is suitable for people with extra sensitive scalps too. Its formula categorically boasts of being pH balanced and is free of the usual irritants like parabens, sulfates, and other synthetic chemicals. The absence of sulfates, however, means that this product doesn’t lather that well. For a natural biotin shampoo, this one is quite affordable. What helps further is that you don’t have to use a lot at every wash. Also, if you’re completely sold on this shampoo, you can also get the much bigger 32 ounce bottle for even greater savings. You’d want to beware of the packaging. People claim that it has a tendency to leak if not packed properly or not used with care. Some people also say that this shampoo dries up their hair too much, making their scalp unduly itchy but they are in minority. Who’s it for: If you like minty scents, absolutely need your shampoo to tingle, and don’t mind lesser lather, then this biotin shampoo should be right down your alley. Lavender is a very popular companion for biotin in shampoo formulae because of its hair conditioning properties. While many biotin shampoo formulae have some lavender, this one takes this to the next level by giving lavender as much presence in the formula as biotin. The result is that this shampoo can thicken your hair, add volume and lift to it, and even make it shine for you after every wash. It does all this while ensuring your hair remains soft and pliable for styling. The best part of all this is that your hair will smell incredibly nice afterward. While smell will always be a subjective topic, the vast majority of this shampoo’s users are ecstatic with its smell. Complaints about its scent are very rare. This shampoo is also suitable for color or chemically treated hair. 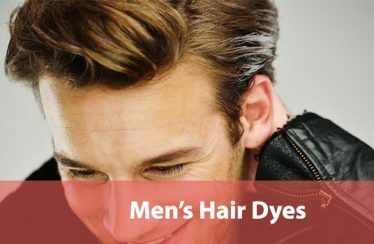 That’s because it isn’t strong enough to strip away color and additives from your hair. This shampoo is also paraben and sulfate free but that doesn’t mean that it doesn’t produce sufficient suds. In fact, it lathers quite well. The company also says that this shampoo hasn’t been tested on animals. There isn’t a lot wrong with this shampoo but it isn’t perfect either. It doesn’t have a 100% success rate when it comes to its hair thickening qualities. Some users claim that it didn’t work for them at all. Some others even suggested that the shampoo left their hair too dry and their scalp itchy but they were definitely in minority. The problem could be related to the new formula, which hasn’t been received as well as the company must have hoped. 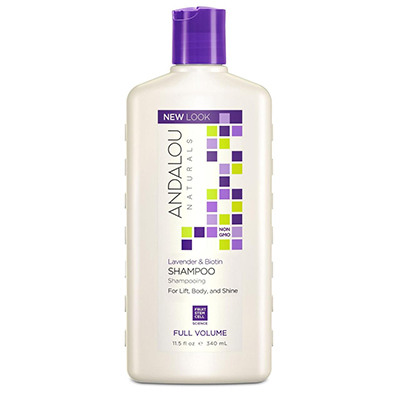 Who’s it for: If the scent is important for you and you style your hair regularly, then this shampoo from Andalou is definitely worth a try. 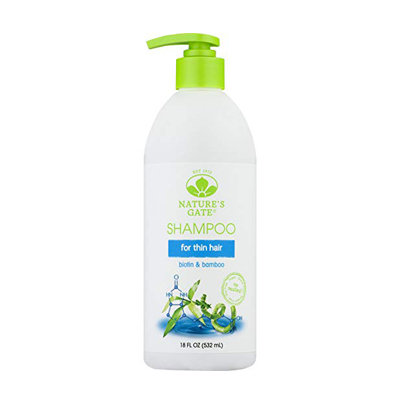 This shampoo from Nature’s Gate is different from the usual biotin shampoos available in the market. What makes this shampoo different is that its formula combines biotin with bamboo. Bamboo is relevant because it contains silica. Silica is used in our bodies for cellular maintenance. It improves circulation in the scalp by fortifying blood vessels and ensures that enough nutrients reach the hair follicles. Additionally, silica also strengthens nails, bones, and hair. Biotin and silica in this shampoo not only combine to give hair more volume and bounce but they also strengthen hair strands preventing breakage and other forms of damage. This shampoo will also impart a very interesting scent to your hair. The smell will be light, earthy, and minty with an herbal note to it. The uniqueness of the scent is probably the reason why some users loved it while others hated it. Along with the scent, though, you should expect healthy tingling in your scalp. This shampoo from Nature’s Gate is very competitively priced too. In fact, it is very much on the cheaper side amongst its competitors. It is also exceptional for its gentleness which makes it ideal for people with a sensitive scalp or people with color and chemically treated hair. Its gentleness is a result of its all-natural formulation that is free from phthalates, parabens, and sulfates. Even so, the absence of sulfates has a downside to it. This is the fact that this shampoo doesn’t lather as well as you might expect. Additionally, there are also some reports of this shampoo drying the hair too much but using a conditioner should prevent that from happening to you. Who’s it for: If you like that tingling sensation and are open to unique scents, then this biotin and bamboo shampoo should interest you greatly. One of the most common reasons for hair loss is testosterone accumulation in the scalp. 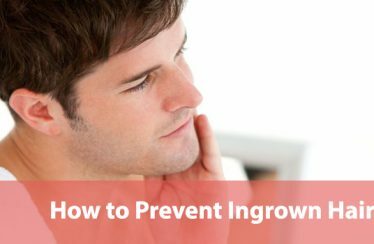 So, naturally, one of the most common solutions for hair loss is blocking testosterone accumulation. This is done through DHT blockers in shampoos. Natural shampoos generally don’t contain DHT blockers because of their synthetic nature. 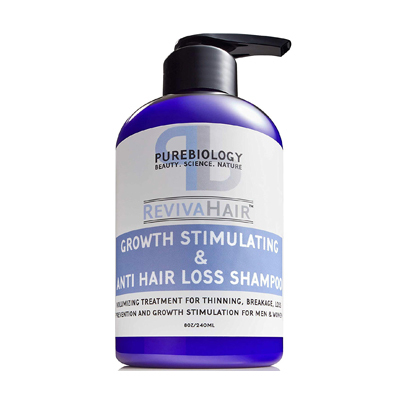 However, in this shampoo, Pure Body Naturals has used a formula that includes 14 natural DHT blockers along with the core ingredients – biotin, niacin, argan oil, and vitamin E.
While the DHT blockers prevent testosterone accumulation, the core ingredients combine to nourish and strengthen your hair. DHT blockers also ensure that this shampoo works to counter the speedy onset of pattern baldness and even receding hairlines. The shampoo’s formula is free from all synthetic ingredients such as phthalates, parabens, and even sulfates. In spite of not containing sulfates, the shampoo still creates enough lather to keep most users satisfied. Moreover, because of the gentle nature of its ingredients, even people with sensitive scalp can use it with confidence. The shampoo also has a very neutral scent that keeps even fussy users happy. Also, the neutral scent makes this shampoo useful for men and women alike. Who’s it for: If you are picky about the way your shampoo smells and are trying to deal with pattern hair loss in a natural manner, then you’ll be hard-pressed to find any shampoo better than this one. Even though it only contains natural ingredients, this shampoo from Maple Holistics is quite strong. This is precisely what sets it apart from so many other biotin shampoos available in the market. Its formulation is so strong that this shampoo has the potential to remove testosterone from your scalp. 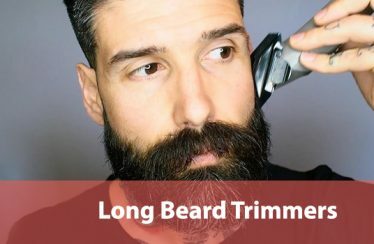 This is beneficial because testosterone accumulation in your scalp can lead to a significant slowdown in hair growth and even hair loss. Another outcome of this strength is that this shampoo lathers well. You won’t be complaining about watery, unsatisfying washes if you use this shampoo. Incidentally, it is rare to find a shampoo without sulfates that lathers well but this one does create enough suds to keep even the fussiest users happy. Apart from containing no sulfates, this shampoo is also free from parabens. The flipside of this shampoo’s strength, however, is that it doesn’t suit individuals with, especially sensitive scalps. This also means that this shampoo may not be ideal for color or chemically treated hair. This shampoo isn’t just strong, though. It is also very effective. Most people who have used this shampoo report thicker and stronger hair. This strength and volume doesn’t come at the cost of softness either with many people praising the shampoo for it. Moreover, this shampoo will leave behind a very mild, relaxing, and natural scent in your hair to complement your softer hair. While the shampoo is excellent and meets all its promises, it doesn’t have a 100% success rate, according to some users. There are even more instances of former users complaining of this shampoo drying their hair excessively. Who’s it for: If you want a strong biotin shampoo and do not have a particularly sensitive scalp, then this is the right product for you. 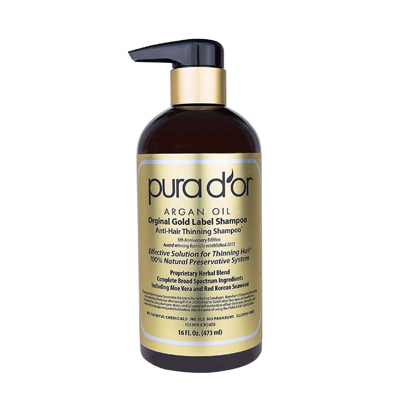 PURA D’OR is one of the most popular biotin shampoo brands available in the market right now. This is evident by the fact that two of its biotin shampoos have a lot of following. The one we’re reviewing here is the Original Gold Label Anti-Thinning Shampoo, while the other is Hair Thinning Therapy Shampoo for Prevention. One comes with a gold label while the other comes with a blue label. These shampoos only differ in terms of the preservatives they use. The gold shampoo boasts of a 100% natural preservative system while the blue bottle contains phenoxyethanol which is an artificial preservative. The shampoo we’re reviewing here is the more popular option. It boasts of a clinically tested formula that contains 17 different key active ingredients. The three primary ingredients, though, are biotin, argan oil, and niacin while other ingredients include natural antioxidants and detoxifying agents. This shampoo from PURA D’OR is very effective. According to most users, it is so effective that regular use will not only slow down hair loss but may even lead to hair regrowth for you. It also thickens the hair, adds volume, and makes it soft. The shampoo formula is quite gentle too which means that it will suit people with sensitive scalp or color and chemically treated hair. Despite being mild, the shampoo can still produce sufficient lather for you to feel like your hair is cleansed. In fact, you’ll feel rejuvenated because the shampoo will make your scalp tingle pleasantly. Its smell is also unquestionably excellent. There is virtually no one out there complaining about its light herbal citrus scent. 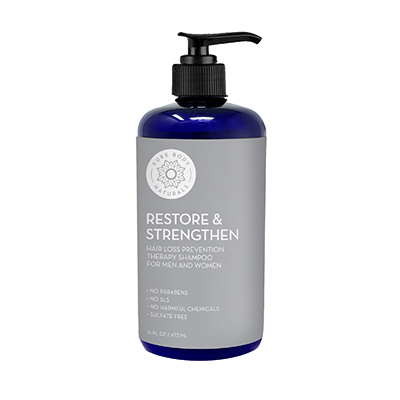 Being all natural, it isn’t surprising that this shampoo has no parabens and no sulfates. It is also a cruelty free product. The only real flaw of this shampoo is that it doesn’t have a 100% success rate. There are still a few people who say that it didn’t work for them. Similarly, some people say it dried their hair too much. A more consistent flaw of this product is that its pump design isn’t as good as it should’ve been. Who’s it for: If you’re particular about how natural your shampoo is and don’t care much about the pump being flawed, then PURA D’OR is the shampoo you should get. 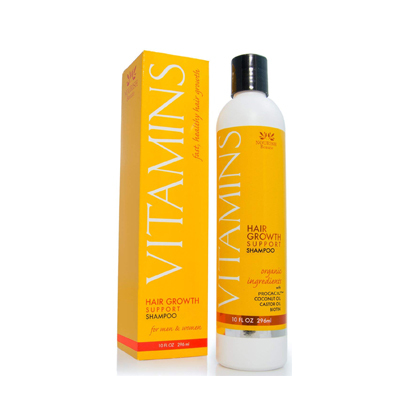 The Vitamins Hair Growth Shampoo from Nourish Beaute is easily one of the most famous biotin shampoos available online right now. It is unique from all other biotin shampoos too. Its uniqueness comes from the way that biotin has been incorporated into its formula. Biotin comes into this shampoo’s formula as a part of Procapil. Procapil is the company’s scientifically formulated mix containing multiple ingredients like biotin, castor oil, and coconut oil in addition to apigenin and oleanolic acid drawn from citrus. According to the company, Procapil is proven to reduce hair loss by 46% and stimulate its growth by 121%. They also say that their shampoo can block DHT, strengthen hair follicles, and increase the growth phase of the hair. According to users, this shampoo actually does everything that it claims to do. Lots of people have seen it stop their problem of pattern baldness and this is something no other biotin shampoo can claim to do. Further, this shampoo has even proven to be effective against receding hairlines. However, you should know that it cannot boast of a 100% success rate. This is the case with all shampoos natural or otherwise so don’t let it dishearten you. The shampoo has a neutral and pleasant scent which means that it will appeal to people with extra sensitive noses. It also lathers well but that is only because it contains sulfates. This, in fact, is one of its flaws as sulfates don’t suit a lot of people and may result in negative reactions. As it is, there are reports where people are saying that this shampoo made their hair oily and greasy. There are even some complaints about this shampoo causing hair loss, instead of preventing it. However, that is probably this shampoo forcing your hair follicles into a new hair growth phase. This shampoo is quite expensive too but it does come with a 90 day refund promise from the company. Who’s it for: If nothing has worked for you and you need something innovative and different, then this shampoo is just what you need. This shampoo from Pure Biology contains biotin and keratin but within two proprietary complexes known as 3HC and Amino Kera NPNF. The company says that 3HC is a hair stimulating complex that is clinically proven to reduce hair loss by 21% within 21 days. It comprises stem cell based ingredients derived from plants. Amino Kera NPNF complex, on the other hand, is supposed to strengthen existing hair. It is backed by lab tests showing 10% increase in strength after first wash and 41% increase after three washes. Therefore, this shampoo reduces hair loss by supporting hair follicles with the right nutrients and strengthens existing hair as well. In terms of these claims, the shampoo performs quite well. Users say that it repaired their damaged or thin hair and thickened the entire mop. They also say that it has a softening effect on the hair. At the same time, there is no proof of this shampoo re-growing lost hair. It does have an impact on the scalp as well because a lot of users felt tingling at the time of and after application. In terms of smell, this shampoo has a natural lemony scent. Whether you will like the scent or not depends entirely upon your specific preferences. The formulation doesn’t contain parabens but it does have sulfates. The sulfates in the formula allow the shampoo to produce significant lather. The downside of sulfates is that the shampoo is a bit too strong. This means that this shampoo isn’t fit for people with color or chemically treated hair. It also means that it can dry up hair and scalp fairly quickly if it is not supplemented with a good conditioner. The shampoo is also quite expensive which may put off many people as well. Who’s it for: If you can’t bear to use a shampoo without lather and have tried everything else containing biotin without results, then you should give this one a shot. Re:Line Biotin Shampoo from Paisle Botanics has received a lot of positive reviews since its launch. The company is marketing this shampoo as a hair growth shampoo and they’re very much on the ball. As many users will attest, this shampoo has the ability to not only thicken thinning hair but also make it soft and shiny. It does so by nourishing hair follicles directly while simultaneously blocking DHT buildup on the scalp. In fact, for a completely natural biotin shampoo, this product does particularly well in countering DHT buildup. The standout quality of this shampoo, however, is that it offers all those benefits to even people with sensitive scalp and people with color or chemically treated hair. This is a rare quality even in natural biotin shampoos especially considering that users are nearly unanimous when it comes to the mildness of this shampoo. This shampoo smells great too. It has a fresh and airy botanical scent that will appeal to everyone. It doesn’t contain parabens or sulfates and is cruelty free. For a sulfate free shampoo, though, it does produce a lot of lather which is a definite plus point. In terms of downsides, this shampoo has been known to leave hair oily. This means that if you already have oily hair, then you might want to be careful with this shampoo. Also, while this shampoo will slowdown hair loss and strengthen your existing hair, you shouldn’t expect it to encourage hair regrowth. The shampoo’s also a bit too expensive. Who’s it for: If money is not a concern for you and you need a truly premium biotin shampoo, then you should definitely go for re:line.